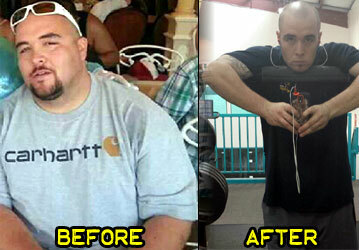 Pounds or Inches Lost: I lost 154 pounds! I’ve been heavy since I was 12, but I was always told I didn’t look as heavy as I was. 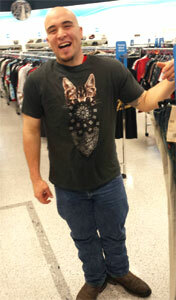 Then one day I realized I looked what I weighed when I had trouble fitting into a 3XL shirt. The fact that I knew I could if I put my mind to it. I wanted to set a difficult goal and meet it so I knew I still had the drive I did earlier in life. My diet. As a truck driver I constantly have fast food and unhealthy snacks pushed on me at any stop I make and with such a tight schedule working 12 to 16 and in upwards of 19 hours some days they are very enticing especially when I didn’t eat enough food that day. Pushing myself to go workout every day. Even when I had an 18-19 hour workday and got an hour of sleep just to be right back at work. But after seeing results it made it so much easier. It actually took me about 100 pounds to notice it in the mirror. I saw it on the scale, in my clothes, and in side by side pictures. But it took a lot for me to look at myself in the mirror and see it. About a year ago, I lost around 35 pounds over the course of about 8 months then I kicked it into high gear with my strict diet and exercise routine and hit my goal of 90 pounds lost in 90 days so I then pushed for 100 pounds in 100 days which put me at about 213 pounds. Then it took about 1 more month to get to my current weight. I have been at my current weight for about 6 months and I continue to diet and exercise. My exercise routine is not as rigorous as when I was trying to lose the initial weight, but I stay at about 2,000 calories per day and run at least 2 miles a day while also strength training. My before and after side by side photos. I have more energy and I have a much more positive outlook on life. I look back and realize how miserable I really was. This also gives me the possibility of pursuing a dream career of mine in law enforcement. If you’re having trouble sticking with it, give it one week and weigh yourself at the start. Do everything spot-on with your diet and exercise plan and then weigh yourself at the end of the week. When you see the results it won’t be so hard. Every time you see something that looks delicious think to yourself “am I going to live if I don’t eat this?” Your answer will be yes! 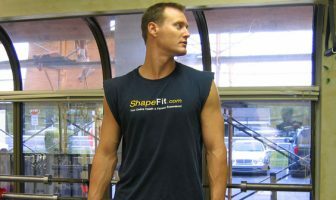 ShapeFit.com keeps me motivated when I see others doing the same thing. Don’t worry how much others are losing. If you want something you will make time for it. Everyone at the gym knows what works for them, only you know what works for you. If you won’t cheat in a relationship, don’t cheat on your diet. If you can’t stick to it, you’re not ready. 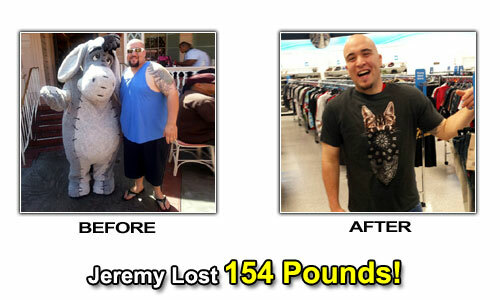 Jeremy’s Weight Loss Eating Plan! 4 egg whites, 2 ounces of chicken breakfast sausage. 1 medium chicken breast, steamed vegetables (low starch). Salad with chicken or tuna, balsamic vinegar dressing or apple cider vinegar. Raw carrots, broccoli, and almonds. If I need some flavor I use mustard which has no nutritional value except sodium. I just recently started using Isopure coffee protein powder. It has 50 grams of protein and 1 gram of carbs with a great helping of caffeine. Shoulder and Traps: Standing dumbbell press, bent over side laterals, upright rows, barbell shrugs, and dumbbell shrugs. Legs: Squat jumps, kettlebell swings, plyo-jumps, and step-ups. Arms and Chest: Barbell curls, dumbbell hammer curls, pushups, laying down flyes, skull crushers, close grip bench press, tricep extensions. Back: Wide grip pull-ups, bent over rows, and side rows. I do heavy weight and low reps (8 to 10 per set). I keep about an 8-9 minute mile pace but sprint short bursts throughout and I try to run at least two miles a day. I bike around 5 to 7 miles immediately after my run to keep my heart rate elevated.